It has become a tradition for London’s literary critics [who appreciate Crime and Thriller Fiction], to usher a new year with the release of a novel from Peter May. 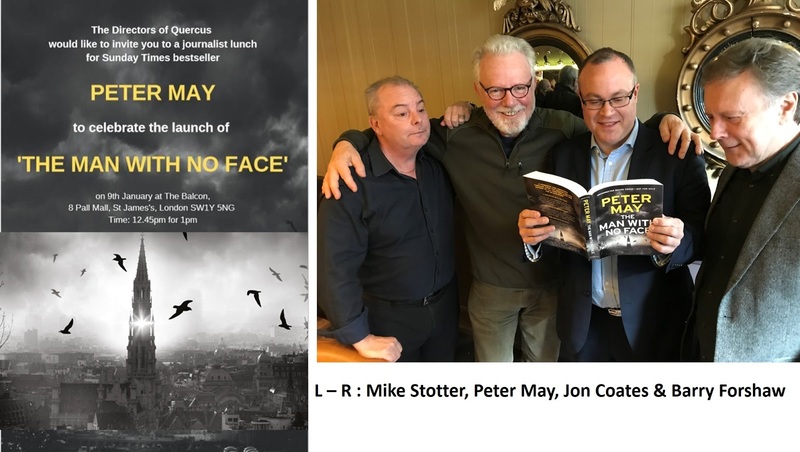 We’d gather in London’s West-End, to break bread with Peter May; all thanks to Quercus Publishing’s Hannah Robinson, Publisher Jon Riley, facilitied by our very dear bibliophile friend Sophie Ransom. Over wine we would discuss the books we’d read over the Christmas break, discussing what was coming in terms of exciting work, as well as catching up on our lives, as we’ve all known each other for many years. We’d also chat about what Peter May had been up to, and as a raconteur he would make us laugh, as we shared tales of the surreal, the curious and the weird. In previous years, I would record the events, online at both Jeff Peirce’s The Rap Sheet [for US readers] and [via my work with my writing partner Mike Stotter] at Shots Magazine for UK Readers. 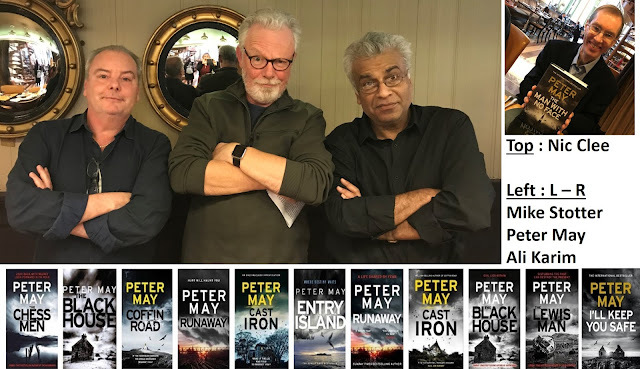 The gathering Publisher Jon Riley and Hannah Robinson of Quercus / riverun organised, for Peter May’s 2019 novel was most eclectic, and amusing. As avid bibliophiles, writers, journalists, literary people, we often live within our ‘heads’ as well as staring at a PC screen; so when we meet-up in the real world, it is a delight.